3 page A4/letter size for printing at home. 12 page instruction booklet. Use your fabric scraps to make all sorts of cute little purses. 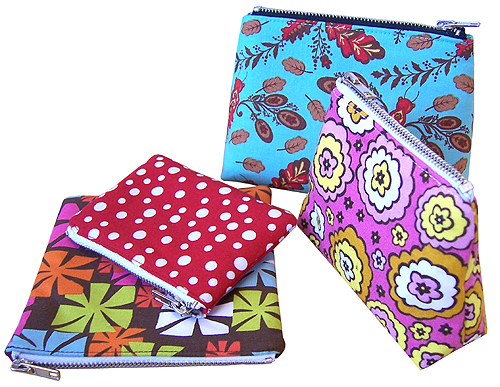 This package includes 4 different size purse patterns to fit 10cm and 12cm zippers. The instructions guide you through a technique to make purses with PERFECTLY NEAT zipper ends! use your scraps, fat quarters or fat eighths.